The new GALAXY Tabs will support HSPA+ network speeds of up to 21Mbps as well as Bluetooth?? and Wi-Fi 802.11 a/b/g/n connectivity to deliver rapid mobile download speeds and reduce data transfer times. 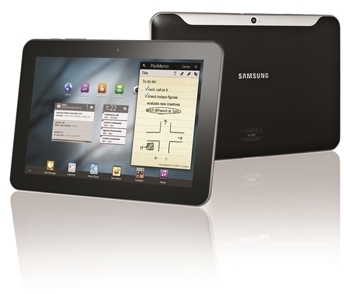 Also, the GALAXY Tab 10.1 and 8.9 include a 1GHz dual core application processor for a powerful multimedia and web browsing experience.